Value Quest Food developed a new candy line for adults and children who love Crunchy wafers and chocolate. 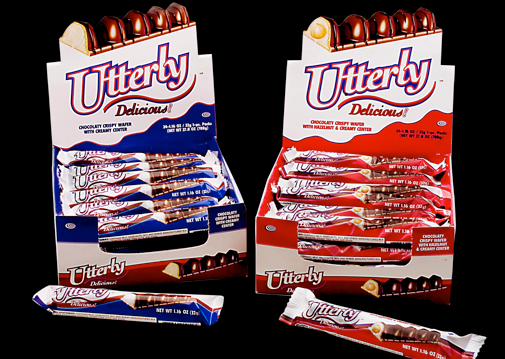 Utterly was designed with and without hazelnuts. The design was fresh and inviting and featured a cut out image to highlight the ingredients of the candy.